“[We’ve] come a long way over 40 years,” says Pat Ryan, a founding member of Maine Women’s Lobby, an organization advocating for women’s freedom from violence and discrimination, access to healthcare and economic security in the Maine Legislature. 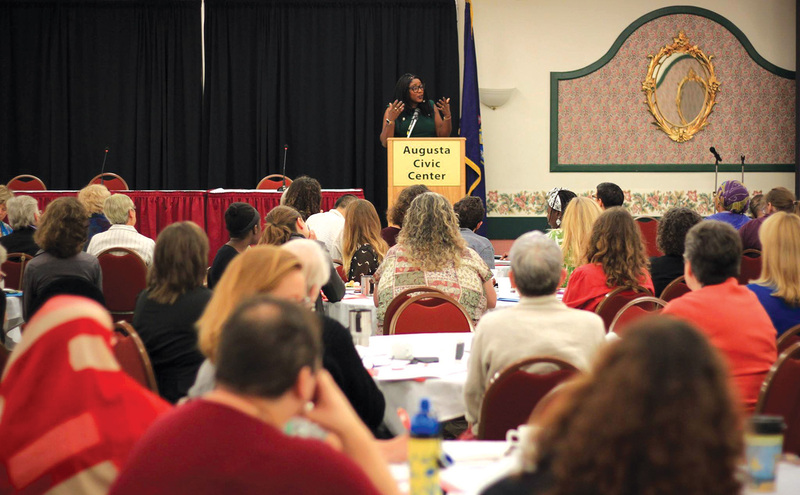 Immediately stepping into action back in Maine, the group of about a dozen women set out to secure state funding to shelter women subject to domestic violence or abuse. The proposed bill had bipartisan support, giving the group such confidence they decided to go home while the appropriations committee continued to discuss matters well into the night, Ryan says. “We came back the next day and expressed our surprise” upon learning a last-minute adjustment left the program on the cutting table. “A legislator said, ‘Well you weren’t there.’ We decided that would be the last time we wouldn’t be there,” Ryan says. With pluck and $2 membership fees, the group founded the Maine Women’s Lobby in 1978. Enough membership dues were collected to fund a part-time employee who would be the voice in the halls when the Legislature was in session. The bill received widespread support and legislation was implemented, giving victims the right to take unpaid leave to attend court proceedings, doctor appointments and legal counsel. Furthermore, employers who fire victims can be fined $1,000 and ordered to pay damages or offer the employee her position back. Kim Simmons, a professor of women and gender studies at the University of Southern Maine, is one of those volunteers. She discovered the lobby in 1996 when she sought out like-minded feminists. Mainers can support the lobby through donations or membership dues, which in essence crowd-funds the organization’s mission. “Or we can jump in to help testify on bills, organize events and grow our own leadership with the support of others,” says Simmons, who is also a former board member. For more information, check out mainewomen.org and sign up for action alerts. For more research reports and events, visit the Maine Women’s Lobby’s younger sister, Maine Women’s Policy Center at mainewomenspolicycenter.org. Stay tuned to the Maine Women’s Lobby for news about 40th anniversary celebrations at facebook.com/mainewomenslobby.